1 An OERM member, also a whistle collector, asked me to take a look at the valve on this whistle to determine if I could make a modification to the valve stem to facilitate in-situ lapping of the valve seat. I knew the mod was a slam dunk, but I got to looking at the condition of the stem and valve seat and determined it would be a better idea to make a soft-steel lap for the seat and re-face the stem valve seat to the same sixty degree angle (included). 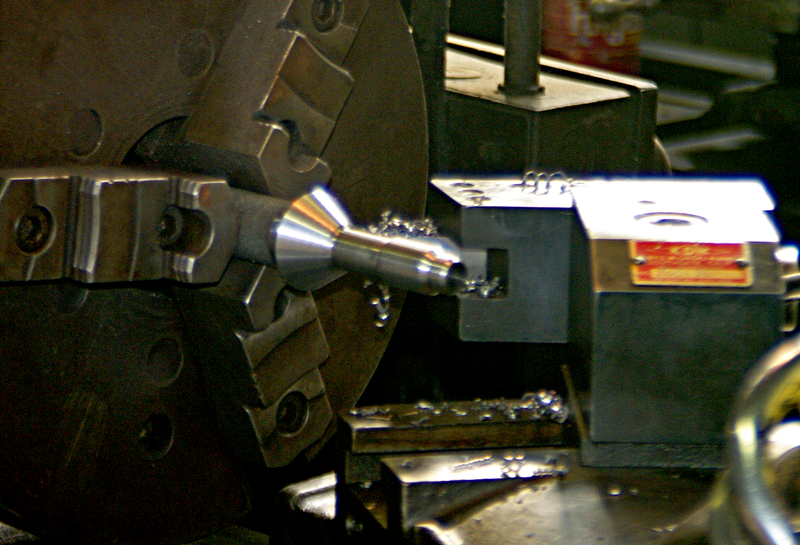 The lap was turned forthwith and the stem valve seat faced with the stem mounted in the lathe using existing center holes. As the valve seat lapping started, it was immediately noted the seat was in poor condition. However the lap did its job and the only expense was a sore pair of hands and forearms the day following. A sore muscle or two is a small price to pay for the opportunity to work on an 1896 Kinsley 4-chime locomotive whistle. This is a rare specimen and very unique in being a 4-chime whistle. Opportunities such as this arise often for me at OERM. 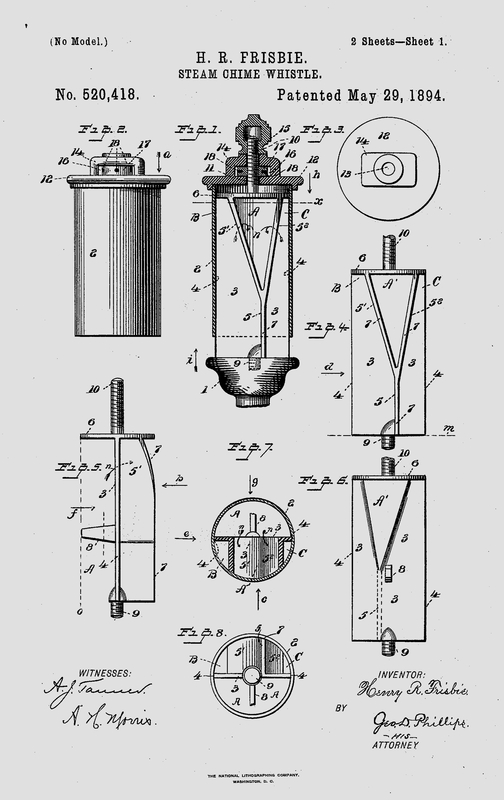 I have included the patent drawing for the four-chime whistle – enjoy!